SPARKLY LADIES! 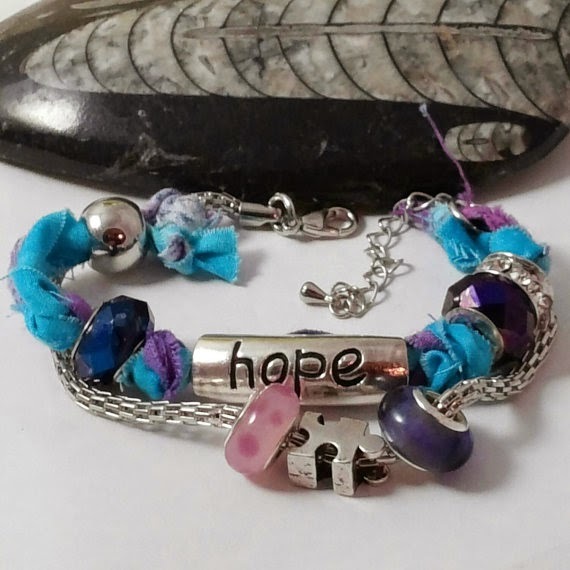 : Tuesday's Jewelry Spotlight Features "Geneva's Sky"
Tuesday's Jewelry Spotlight Features "Geneva's Sky"
As you can see, our items are autism themed. We are raising our little girl with autism and finding opportunities to spread awareness and acceptance. As a couple, we have made these products to maybe start a conversation, show someone appreciation, or support people who are affected by autism. A portion of our proceeds will be donated to autism research. If You are doing a fundraiser please contact us we would be more than willing to help .All hand-crafted Autism awareness jewelry and candles. Help spread awareness, get people talking, change a perception. Beautiful things for beautiful people. Always free shipping ..Thank you for stopping by.